The Advantages of the KPS Braking Cylinder | PFA, Inc.
For applications that require cylinders with a constant output force or constant air pressure, such that loss of pressure to the cylinder would cause the cylinder to move and potentially cause damage to machinery, it is important to have a product in place to maintain the cylinder position on loss of the air supply. To help achieve this, PFA, Inc. offers the KPS Braking Cylinder. As an adjustable solution, this braking cylinder is perfect for both simple projects and complex projects that require distinct attention to detail. As air pressure is lost, the KPS Braking Cylinder will automatically apply or engage the internal brake, fixing the rod in position so risk of damage to equipment is minimized. Without automatic braking on loss of pressure or the ability to brake a cylinder for long periods of time when equipment is shut down, it is possible that improper startups or unexpected loss of pressure could result in a hefty bill to repair or replace the machinery that was impacted. Unlike other products that externally clamp the rod and may slip due to external contamination on the rod, action in the KPS Braking Cylinder takes place inside of the rod to ensure it remains unaffected and undamaged throughout the braking process. To operate the brake in normal operations, once the cylinder has reached its desired position, air pressure is vented from the brake port. Venting air allows the internal springs to move the brake piston, pull on the brake cone, expand the internal brake collet and effectively engage the brake. Once engaged, the brake effectively holds the rod in place until the brake port valve is activated and pressure is applied to the brake port, moving the brake piston to compress the springs releasing the brake. No matter how complex your manufacturing process may be, PFA, Inc. has worked hard to ensure that our products are simple, yet effective, solutions that can easily be implemented into your existing machinery. You can rest easy knowing that our products have been constructed to the highest quality possible. Let us show the difference our solutions can make in your manufacturing processes. 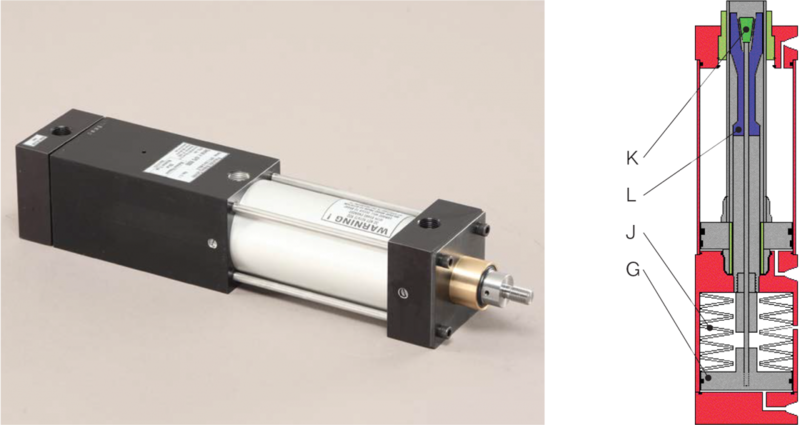 For more information about the KPS Braking Cylinder, we encourage you to visit the product page. On this page, you can find more information about this exciting product and our locking cylinder product, as well as dimensional information to find the right fit for your unique needs. 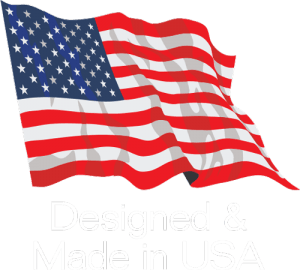 Contact us today to speak to a knowledgeable PFA, Inc. representative and find the perfect products to enhance your manufacturing process.